You might think that one style of brush head will suit everybody, but that is not necessarily the case. Sonicare have adapted to that need and produced a number of different brush head styles to meet the needs and demands of users today. Sadly, the variety and choice makes things a little confusing. 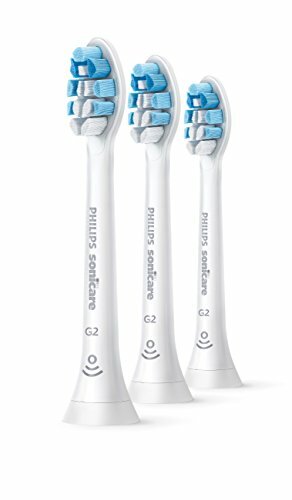 On this page we have tried to cover everything you will need or want to know about Philips Sonicare toothbrush heads. Find out what the differences are, how they work, which is best for you and where to buy them. Read the page in its entirety or use the navigation links below to jump to different sections. What’s the best Sonicare brush head? Which brush head should I use? Compatible cleaning modes – which cleaning modes do Sonicare brushes have? What do the Sonicare brush head model numbers mean? Which brush heads are compatible with my Sonicare electric toothbrush? It is quite difficult to say that one brush head is the ‘best’. Each head offers different things and is engineered slightly differently. The Gum Care brush head might be more suitable to those with Periodontal disease, whereas the DiamondClean brush head is most suitable for those looking to Whiten their teeth. However, there are a couple of brush heads that are good all-rounders and suitable for most people. If you’re using a BrushSync compatible brush (more on that below) the Sonicare C3 Premium Plaque Control brush head is our choice for superior every day, all round cleaning. If you don’t have a BrushSync compatible brush, our recommendation is the ProResults. Because of the ‘smart features’ they offer, the BrushSync compatible heads are more expensive, so there’s no point paying for them if you can’t make full use of them. The most important thing is that you brush twice a day using the correct technique. Going for a brush head like the ProResults therefore saves you some cash, and still does the job. There may well be one better suited to you, which you can decide upon based on the information provided below. We explain all the different Philips Sonicare Sonic brush heads in detail on this page and make it easier for you to understand which brush head to opt for. We’ve also created our own comparison chart, which lists all the brush heads available to buy. Sensitivity in the teeth and gums is a common occurrence for many people and subsequently, the use of a firm bristled brush head is very unappealing. Periodontal disease is a common cause of this sensitivity, but it is brushing the teeth regularly and correctly that can actually improve pain felt when brushing, for a large number of people. 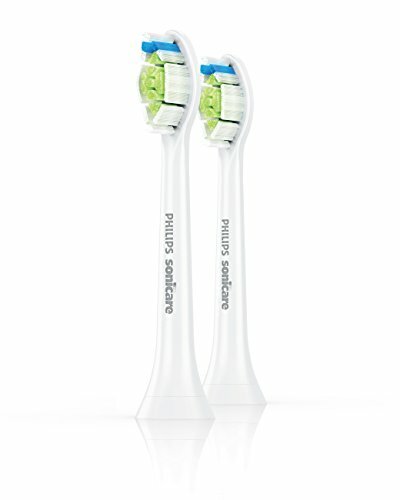 The Sonicare G2 Optimal Gum Care brush head is the head you want for your brush. Precision trimmed bristles offer a soft brushing experience as the bristles pass over the teeth and along what is often tender gum tissues. By effectively dislodging and lifting the harmful plaque and bacteria, the brush head will within a short period of time improve your gum health, but encourage regular brushing as a result of the experience you get. For maximum effect, use the Optimal Gum Care brush head with the Gum Care or Sensitive cleaning mode available on many Sonicare models. If you regularly experience sensitive teeth and gums, you should seek further advice from a dentist as you may need to consider a change in diet, specialist toothpastes or even dental work. One of the most common bits of advice when wearing a brace is to brush your teeth regularly and well. Hey, that is good advice, brace or not, but for those with braces, particularly fixed, the importance is greater. Brands like Oral-B have specialist ‘Ortho’ brush heads (view them here on Amazon), but when using a Sonicare electric toothbrush, you don’t need a special head, all of the range will pass over and around your braces to help deliver a fantastic clean. This video explains the cleaning process around braces with a Sonicare brush. You only have to turn on the television or open a magazine to see the fantastic white teeth that many of the well-known faces have. The fact of life is that perfectly white looking teeth do not come naturally and for most, good oral hygiene routines (or cosmetic treatment) is the answer. Sonicare’s range of DiamondClean brush heads are specifically engineered to help you clean and polish your teeth to the whitest they can be. In the middle of the DiamondClean brush head are hundreds of tightly packed bristles, each Diamond shaped. Together these create a polishing pad that helps make teeth appear whiter in as little as 7 days. Food and drink we consume can leave residue on the surface of our teeth that cause our teeth to look discoloured. The pad and the intense sonic motion delivered by the brush handle looks to dislodge the extrinsic (external) staining and bring the tooth back to its natural, brighter and whiter color. Should your brush handle offer a Whitening cleaning mode, be sure to select that for best results. However, you can use on any other cleaning mode and see improvements. If you have a BrushSync compatible handle, consider opting for the W3 Premium White brush head. The handle will automatically select that (subject to model) so that you can take advantage of the specially programmed pulsations and brush strokes. A good fluoride based toothpaste is all you really need, but some may find using a Whitening toothpaste such as Nu Skin AP24 (view it here on Amazon) worthwhile. The chart below lists the entire range of Sonicare replacement toothbrush heads, gives a brief explanation about them, and denotes their compatibility. This is a question you are best off answering yourself. We hope that the information within this article will help make that decision process easier. Whilst the Sonicare C3 Premium Plaque Control brush head is our choice for superior everyday use, you might find another is better suited to you. All heads will deliver a very good overall clean, make no doubt about it. The sweeping motion and the power delivered from the brush head will lift and move more plaque and debris that a manual toothbrush and generally aid your overall oral health. It is time to dig a bit deeper into the different brush heads and their differences. It can get quite overwhelming as there are so many options on offer from Sonicare, particularly as so many of the heads appear to do the same thing, or achieve extremely similar results. But it can get even more complicated with different pack sizes and different brush head colors too. You then have to worry as to whether they are compatible with your Sonicare brush handle. The remainder of this article goes into much more detail, but hopefully breaks things down and explains everything in a way that make sense. At the time of writing, I calculate that there are some 15 different types of brush heads. There is also then the Kids range, but more on that later. Each head has different features which in theory make them unique and more appealing to different users. The following gives a brief overview of each style of brush head. DiamondClean – Engineered to achieve whiter teeth and remove more plaque. W DiamondClean – BrushSync compatible effective surface stain removal offers up to a 100% whiter smile in just 7 days thanks to the Diamond shaped bristles. C3 Premium Plaque Control – BrushSync compatible the bristles on this head offer up to 4 times more surface contact whilst the flexible sides are soft on the cheeks and gums. G3 Premium Gum Care – BrushSync compatible the head absorbs excess pressure through the bristles and flexible sides and can remove 10 times more plaque than a manual toothbrush. W3 Premium White – BrushSync compatible, in just improvements in your oral health can be seen in as little as 3 days. Removing plaque and surface stains, the bristles make plenty of contact with the teeth and gums, but is able to flex and adapt to the differing shapes to ensure maximum results at all times. AdaptiveClean – A deeper clean with 4 times more surface area than a DiamondClean head with bristles that adjust to the shape of the teeth for great cleaning and effective plaque removal. I InterCare – BrushSync compatible, within 2 weeks bleeding and inflamation at the gumline will be reduced. Long bristles read deep between teeth to dislodge more plaque and bacteria within interdental spaces. InterCare – Deep interdental cleaning is what the InterCare brush head excels at. Long bristles read deep between teeth to dislodge more plaque and bacteria. ProResults – A contoured profile to the brush head achieves twice the plaque removal than a manual brush. ProResults Gum Health – Densely-packed, high-quality tufts easily reach teeth at the back of the mouth. Also features a gentle trim profile to cushion teeth for an extra gentle brushing experience. G2 Optimal Gum Care – BrushSync compatible this head is gentle, yet effective plaque removal, particularly along the gumline, improving your gum health. C2 Optimal Plaque Control – BrushSync compatible it is possible to remove 7 times more plaque than a manual brush head, thanks to the soft bristles and specially curved power tip makes reaching the teeth at the back of your mouth a breeze. ProResults Plaque Control – Capable of 6 times more plaque removal than a manual brush, the head has high quality tufts of bristles with specially curved power tufts to easily reach teeth at the back of the mouth. Sensitive – Ultra-soft bristles for gentle, effective cleaning. Also features special trim profile to cushion teeth for a gentler brushing experience. SimplyClean – Click on brush head with the authentic Sonicare cleaning experience. Bristles cut and shaped to differing lengths gives a thorough clean. E-Series – The classic Sonicare brush head with a contoured profile to naturally fit the shape of your teeth for a thorough clean. Screw on style brush head. Given that each brush head offers something a little different, it is easy to think that you should use more than 1 different style, but that is not the case. There may be benefits to you, if you did do this, but greater benefit will come from regular cleaning, with the correct technique. As the name implies the difference is the size of the brush head. The Standard is the larger of the 2 and the most common to be supplied in the box. The Compact head is smaller and does not cover the same surface area, but can be easier to move and position within the mouth, particularly when trying to clean the back teeth. They are also useful for older children, that might not be ready for the larger brush head, due to the size of their mouth. The compact design also makes for a more comparable offering to Oral-B’s well known small, round brush head design. The way in which the head cleans the teeth and the gums is still slightly different, but both still do an excellent job. Although Sonicare do make Compact brush heads, they are not necessarily available for all styles. This is a shame, as they suit some users better than others, but demand is generally for the larger sized head. OK, so are you keeping up. 15 different styles of brush head, each of which can come in either a standard or compact size. The next thing to contend with is the size of the pack they come provided in. When you buy replacements or spares, you can get them in different pack sizes. We are not talking about the physical size of the packaging, but the number of brush heads included. You can’t buy just 1 brush head at a time. The smallest pack size is 2 brush heads, but most common in the USA is a pack of 3 heads. However, packs of 4, 5, 6 and 8 also exist. Just like the physical size of the brush head, there is a bit of inconsistency here too. So, just because a pack of 4 is available in the W3 Premium White, does not mean you will get the same pack size in AdaptiveClean. Often, the larger the pack size, the lower the cost is per brush head. If you want to save money when buying heads, buying a larger pack, is typically the best way to save a few dollars. The last major differentiator and thing to consider with the brush heads is the color. Black or White are the choices. This is the color of the plastic body of the brush head and not the bristles. It is entirely your choice as to which you opt for. The way the head cleans and performs is exactly the same. It is more of a design thing. A Black colored head may look better when used with a black colored brush handle. Sonicare provide Black heads with some handles and White with others. In many respects each brush head within the range has particular capabilities that make it better than another. Take the DiamondClean heads, they are specifically engineered to Whiten the teeth with the Diamond shaped bristles. However, I want to bring up a particularly specialised brush head, well I say brush head, it’s more of a nozzle. These are the replacement heads for the Sonicare Airfloss. If you are not familiar, the Airfloss is a a dental flosser, that fires jets of water into the mouth at pressure. It is a complementary tool or alternative for some to regular string floss. Although not brush heads, you will likely see them on the shelves at your local stores, so I want to make sure you understand the compatibility. They are not to be used with any Sonicare brush handle and work only with the Airfloss unit. The options you have for spare/replacement nozzles are as follows. A new innovation in electric toothbrush technology, BrushSync was first introduced in 2017 with the Sonicare DiamondClean Smart. It is a technology that offers communication between the brush handle and brush head. The following video explains what you need to know, but a written explanation is included below too. BrushSync compatible brush heads communicate with the handle via an RFID chip they have built in. The technology comprises of two different functions. The brush head replacement reminder tells you — via an LED on the brush handle — when it is time to change or replace your brush head. When a brush head is fitted to the brush handle for the first time, the chip is detected and the warning light will flash three times. This acts as confirmation that the handle has detected the head and that the electronics inside the handle will now keep track of it. The handle knows that the brush head should be replaced every three months. So, once the handle detects that the brush head has been used for this amount of time, the ‘BrushSync’ LED on the brush handle will light up an Amber/Orange color. It is at this point you should fit a new head. If it detects that you have brushed three times a day every day or brushed with more pressure, it will activate the BrushSync alert sooner, as the bristles will have worn out sooner than the typical 3 month time period. It will also delay alerting you to replace the brush head, if you used that head just once a day over 3 months. It would not tell you to replace it until it had been used for equivalent to 4 minutes a day for 3 months. This means that if you fit the W DiamondClean head to the handle, it will automatically select the whitening cleaning mode. If you were to buy and fit the C2 Optimal Plaque Control brush head to the handle, it would pair with the ‘Clean’ mode whilst the G2 Optimal Gum Care brush head will pair with the Gum Care mode. Not all brush handles have both BrushSync features. Most common is the head replacement reminder. If the handle has mode pairing, then it will likely have the replacement reminder too. It is perfectly possible to use a non BrushSync compatible head on a BrushSync enabled handle, but you will not enjoy the benefits it brings. This is the same if you use one of the BrushSync heads listed on a handle that does not support BrushSync. We have written more about this in our BrushSync explained post. With few exceptions, the range of brush heads on offer from Sonicare work with any brush handle. This means whether you have a DiamondClean Smart or a FlexCare brush handle you can use the ProResults Gum Health or the Sensitive brush head or the AdaptiveClean head if you prefer. You can swap as frequently or infrequently as you like. Maybe you want to clean in the morning with InterCare and in the evening with DiamondClean, that is perfectly fine. The heads use a simple ‘click on’ mechanism. Just push the head onto the top of the brush handle and then pull it away from the handle to remove it. You can replace a brush head in just a couple of seconds. Third party or aftermarket alternatives can be purchased. It is advised to only use Philips Sonicare brush heads with the brush handles as performance and wear on the brush using other brush heads cannot be guaranteed. It is worth noting that whilst interchangeable BrushSync compatible handles require BrushSync compatible heads for all functions of the brush head to work. The notable exceptions to the ‘interchangeable’ rule is the PowerUp brush handle and head as well as the Sonicare Essence (E-Series) that requires and works only with the E-Series brush heads. The E-Series screw on mechanism will not work with any other brush handle. This said, there is a standard, compact and sensitive brush head, specific to the E-Series, so there is still a degree of choice. Hopefully that overview has helped, but now we shall take a much more thorough look at the heads on offer and better understand their differences and selling points. The DiamondClean toothbrush head for Sonicare electric toothbrushes can remove up to 100% more stains for whiter teeth in just 7 days. Specially designed Diamond-shaped bristles assist in achieving whitening. This head features a central stain-removal pad, made from densely packed diamond-shaped bristles, to remove surface stains caused by food, drinks and smoking. Philips development team have engineered this brush head to make best use of the sonic motion that a Sonicare handle can offer. The dynamic fluid action that is created as a result of the high frequency and high-amplitude brush movements works to offer a deep cleaning action from all areas of the brush head, driving fluid deep between the teeth and along the gumline. This brush head clicks on and off your brush handle for a secure fit and easy maintenance and cleaning. It fits all Philips Sonicare toothbrush handles except, PowerUp Battery and Essence. Reminder bristles ensure your most effective clean At first glance it may not be obvious, but brush heads lose stiffness and gradually wear down over months of normal use. Blue reminder bristles fade to white and help you recognise when it’s time for a replacement. For optimal results, replace your brush head every three months. The Sonicare W DiamondClean brush head is specially designed to remove up to 100% more stains for whiter teeth in just 7 days. In the middle of the brush head is a tight cluster of bristles that form the Whitening pad, that removes the exterior stains found on the tooth surface. Densely packed, Diamond shaped bristles lift stains caused by food, drink and lifestyle habits. The Blue coloured bristles on the head are in fact reminder bristles that fade in time and with use. It is a visual reminder to you as and when the head needs replacing, to ensure you get optimum cleaning results. However, with this brush head, the reminder may will be electronic (subject to brush handle) thanks to the BrushSync technology built in. It will also, with the appropriate handle, select the most appropriate cleaning mode. It is possible to use the W DiamondClean head on the following models, but the ‘Smart’ feature of the brush head WILL NOT work. Offering the deepest clean yet for and 4 times more surface contact than a manual brush head, the Plaque Control toothbrush head from Sonicare follows the unique shape of the teeth and gums. Flexible sides complement the unique bristle pattern design to remove up to 10 times more plaque, even in the hard to reach areas. Cleaning thoroughly in between teeth and along the gumline, the soft rubbers sides of the Plaque Control brush head adapt to the contours of your mouth. Precision engineered, the brush head makes use of all the sonic vibrations passed out by the brush handles motor. It whips toothpaste into bubble and drives them deep between your teeth and along the gumline for gentle and effective cleaning. This brush head simply clicks on and off your brush handle for a secure fit and easy maintenance and cleaning. This is no ordinary brush head though. Thanks to a built in chip, when you fit onto a compatible brush handle, the microchip communicates with the brush handle to launch the optimum cleaning mode and intensity level for the most effective plaque removal experience. Fading reminder bristles are present to help you recognise when it is time to change the head (recommendation of every 3 months). But better still, if using a Smart Sonicare brush handle the brush will monitor how often the head is used and how hard you brush and remind you at precisely the right time to change. It is possible to use the C3 Premium Plaque Control head on the following models, but the ‘Smart’ feature of the brush head WILL NOT work. Taking the pressure out of the brushing motion to offer a softer, more enjoyable clean, you can have gums up to 7 times healthier in just 2 weeks. Flexible sides and bristles absorb excess pressure so that your gums are protected, even when you brush too hard. The bristles work to remove as much plaque and bacteria from along the gumline to improve your gum health. Capable of removing up to 10 times more plaque than a manual brush, whilst achieving 2 times more surface contact, the Gum Care brush head makes use of all the sonic vibrations passed out by the brush handles motor. It whips toothpaste into bubble and drives them deep between your teeth and along the gumline for gentle and effective cleaning. It is possible to use the G3 Premium Gum Care head on the following models, but the ‘Smart’ feature of the brush head WILL NOT work. ​More effective at removing plaque and staining on the tooth surfaces, within just 3 days whiter teeth are possible. Flexible sides lets the bristles move to the exact shape of your teeth and mouth whilst absorbing excess pressure. The bristles work to remove as much plaque and bacteria from the tooth surfaces for healthier and whiter teeth. Capable of removing up to 10 times more plaque than a manual brush, whilst achieving 4 times more surface contact, the Premium White brush head makes use of all the sonic vibrations passed out by the brush handles motor. It whips toothpaste into bubble and drives them deep between your teeth and along the gumline for gentle and effective cleaning. It is possible to use the W3 Premium White Care head on the following models, but the ‘Smart’ feature of the brush head WILL NOT work. 4 times more surface contact than a DiamondClean brush head, the AdaptiveClean toothbrush head from Sonicare follows the unique shape of the teeth and gums. A soft, flexible rubber sided head allows the bristles of the brush to adjust to the shape of each tooth’s surface. As such this can lead to up to 10 times more plaque removal than a manual toothbrush along the gum line and between teeth. Even the hardest to reach areas get a deep clean, that is still gentle on the gums. Tracking along the gum line the rubber sides of the brush head absorbs excessive pressure you might apply, further protecting the soft tissue. Offering the deepest clean, the Sonicare electric toothbrush is not as effective without such an engineered brush head. Taking full advantage of the high-frequency and high-amplitude brush movements, performing over 31,000 strokes per minute, the brush head takes that power and drives toothpaste and fluid deep in between teeth. This brush head simply clicks on and off your brush handle for a secure fit and easy maintenance and cleaning and is compatible with all Sonicare brushes with the exception of PowerUp Battery and Essence models. Fading reminder bristles are also present to help you recognise when it is time to change brush head, if you did not mark this within your diary. Capable of reducing gingival bleeding and inflammation within 2 weeks, the long bristles reach deep into interdental spaces to remove more plaque and bacteria. The powerful motor of the Sonicare brush handles drive a high-frequency and high-amplitude that results in brush movements of 31,000 strokes per minute. The I Intercare heads offer superior cleaning performance and create is a dynamic fluid action that drives fluid deep between teeth, even in hard to reach areas and along the gum line. Suitable for a variety of users, but particularly those looking to improve gum health. This is no ordinary brush head, though. Thanks to a built-in chip, when you fit it onto a compatible brush handle, the microchip communicates with the brush handle to launch the optimum cleaning mode and intensity level for the most effective plaque removal experience. Designed to reach deep between teeth and into hard to reach areas the InterClean brush heads feature extra-long, high-density bristles to target hidden plaque caught deep between teeth and in other hard-to-clean areas. Available in the standard and compact size the InterCare brush head like the others available, takes full advantage of the power delivered by the different Sonicare brush handles. The powerful motor drives a high-frequency and high-amplitude brush movements to perform over 31,000 strokes per minute. The result is the power fully extends from the brush handle all the way to the tip of the brush head. Within the mouth the result is a dynamic fluid action that drives fluid deep between teeth, even in hard to reach areas and along the gum line. Suitable for a variety of users, but particularly those looking to improve gum health. In just 2 weeks the results can be seen and Phillips suggest up to 7 times more plaque removal than a manual brush. Reminder bristles ensure your most effective clean At first glance it may not be obvious, but brush heads lose stiffness and gradually wear down over months of normal use. Blue reminder bristles fade to white and help you recognise when it’s time for a replacement. Twice as effective as a regular toothbrush head, the bristle formation is designed with plaque removal and user comfort in mind. Contoured to the shape of the teeth, the bristles sweep with ease, but effectivesness to get rid of the bacteria that builds up in the mouth and on the surfaces within. Sonicare brushes can offer up to 31,000 strokes per minute so the ProResults head has been designed to take advantage of this to effectively clean tooth surfaces that bristles can reach and into deeper gaps between teeth. This does not mean a harsh or aggressive brushing experience, in fact quite the opposite. Like the other brush heads available, simply click on and off and replace every 3 months. Not sure how long ago you changed? Just take a look at the blue indicator bristles. If they look more white than blue, it is time for a change. The head fits all Philips Sonicare toothbrush handles except: PowerUp Battery and Essence. Capable of removing up to 6 times more plaque than a manual toothbrush after 4 weeks use, the densely-packed, and high-quality tufts of bristles found on ProResults Gum Health brush heads help to effectively remove plaque and improve gum health. Specially curved power tufts easily reach teeth at the back of the mouth, whilst the gentle trim profile cushions teeth for an extra gentle brushing experience. 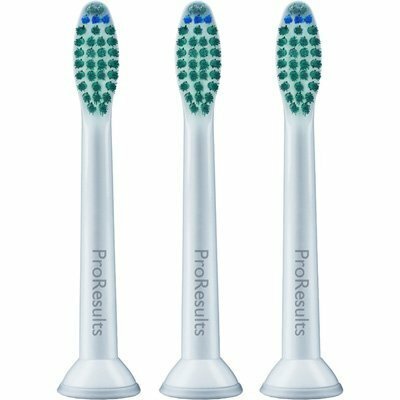 Sonicare brushes can offer up to 31,000 strokes per minute so the ProResults GUm Health head has been designed to take advantage of this to effectively clean tooth surfaces that bristles can reach and into deeper gaps between teeth. Not sure how long ago you changed? Just take a look at the blue indicator bristles. It the look more white than blue, it is time for a change. Densely packed bristles are organised to create a trim profile that is effective at removing plaque, particularly along the gumline and stimulating better gum health. Up to a 100% improvement is possible when compared to a manual brush head. Clusters of bristles form a large surface area that covers the whole tooth but reaches up and along the gumline as the brush head is moved tooth to tooth. Effective plaque removal helps improve and maintain great gum health. A specially curved power tip aids with reaching the back teeth, so you really do achieve a good all over clean. It will too, with the appropriate handle select the most appropriate cleaning mode. It is possible to use the G2 Optimal Gum Care head on the following models, but the ‘Smart’ feature of the brush head WILL NOT work. Lots of bristles are packed tightly together to create the shape and sized tufts seen on the Plaque Defence brush head. Their angle, length and positioning make them effective for all over cleaning and plaque removal. They are in fact 7 times more effective than a manual toothbrush. Perfectly suited for those wishing to ensure optimum plaque removal as part of their daily brushing routine, the C2 brush head does too boast a specially designed curvature to the tip of the brush head, that helps reach the very back teeth. A built in RFID chip makes this a BrushSync compatible head. Subject to brush handle, it will pre-select the most appropriate cleaning mode as well as reminding you via an LED on the brush handle, when it requires replacing. Not as high tech, but effective nonetheless is the reminder system built into the brush head itself. The Blue coloured bristles on the head fade in time and with use, to a translucent/White colour. It is possible to use the C2 Optimal Plaque Control head on the following models, but the ‘Smart’ feature of the brush head WILL NOT work. This is the all round brush head that you will likely wish to opt for if you are not trying to achieve something specific. With a design and bristle structure that looks to effectively remove plaque, improve gum health and get to those hard to reach areas, the ProResults head for Sonicare brushes is available in both a standard and compact size, to suit your needs. With a contoured profile the head and bristles fit naturally to the shape of your teeth to help achieve that all round effective clean. The click on and off brush head includes the reminder bristles which fade from blue to white over 3 months and helps you know when to replace the head. Suitable for all brush handles from Sonicare with the exception of PowerUP Battery and Essence, the ProResults can deliver over 31,000 brush strokes per minute on the appropriate cleaning mode, achieving the maximum cleaning effectiveness. Bleeding and sensitive gums can be a sign of poor oral health, it can also be as a result of dental work or you can be prone to suffering with this more than most. The Sensitive brush head is designed to make the experience of cleaning your teeth with a Sonicare electric toothbrush that bit better. The stiffness of the bristles are 25% less than a normal brush head resulting in a less abrasive feeling as the power of the motor delivers the clean to the teeth and gums. All Sonicare electric toothbrush handles can use the Sensitive brush head with the exception of PowerUp Battery and Essence. Pair this brush head with the Sensitive, Gum Care or Massage cleaning modes available on Sonicare brushes to ensure the power delivery is not too much and works to ease the pain you may suffer. Click on style heads, the SimplyClean brush head offers Sonicare’s classic brush head style that offers a good standard of overall gleaning to the teeth and gums. Sonic motion from the brush handle is transferred into rapid movements amongst the bristles that creates a dynamic motion to drive fluide over and around the teeth for thorough cleaning. A classic Sonicare brush head, the contoured bristles offer a great clean to the teeth and gums. Ideally suited for everyday use, plaque removal is effective with this E-Series brush head. It takes the sonic movement delivered from the brush motor and drives the bristles around the teeth to get that overall clean but too create an action that helps drive the toothpaste and cleaning effect deeper between teeth. The head screws on, rather than clips onto the brush handle and is therefore suitable for select models, notably the Sonicare Essence. Designed to be used with the battery powered PowerUp electric toothbrush these larger brush heads give a great overall clean. Covering a large surface area the teeth and gums get swept with the soft bristles placed in this head. A criss-cross configuration on the side of the head work to clean effectively along the gumline, a common location for plaque buildup. Available with Blue or Orange bristles, it is the Orange bristles that are the softest for those who are particularly sensitive to the rapid motion offered by a toothbrush head. Fading indicator/reminder bristles are built into the brush head. Blue bristles fade over time to a pale Blue/Translucent color as they are used and worn. For optimal results, replace your brush head every three months. If you fit a BrushSync head to a compatible handle it will select the most appropriate cleaning mode and intensity. These are ideal settings and not essential. It is possible that a W DiamondClean White brush head on a White cleaning mode will achieve better results than the same brush head on a Gum Care mode. However, there are other influencing factors such as how you use the brush and your diet that will likely have bigger affects than using the specific brush head with the ideal cleaning mode. Of course, if you have the option to do so, then great. Depending on the brush handle you have will depend on the cleaning modes that it offers. All have the standard ‘Clean’ mode which lasts for the dentist recommended 2 minutes. However some models, notably the more premium ones offer extra modes that can help you achieve different healthcare goals. Sonicare have many different stockists of their brush heads. The following is a list of all the current brush head styles, pack sizes and colour options available. For simplicity’s sake, we have included an Amazon link to one listing of each brush head type. As you will now be aware there are a very large number of different brush heads, all with similar, yet slightly different names. The names are more descriptive than part codes, but these codes are often given to products by their manufacturers to help differentiate them internally. It is the product code that makes each item unique. Be it a brush head or a brush handle Sonicare give it a code. So what do the product codes mean in relation to the brush heads on offer? This is a question we cannot provide a definitive answer to. The only consistent figure we know of that you can use to help identify a pack is the 4th digit after the 2 letters. Using the above example we mean the 4. This relates to the number of brush heads included in the pack. 2 if there are 2 brush heads, 4 if 4 heads are included, 6 and 8, you get the idea. Unless you own a Sonicare E-Series (Essence) or PowerUp brush handle, all of the brush heads shown will fit and work with your Sonicare electric toothbrush. The Sonicare AirFloss Nozzle and For Kids brush heads will not work with all of the brush handles. They fit only the Sonicare Airfloss and Sonicare for Kids brush heads. The main focus of this article has been on the brush heads designed and engineered for Adults, but Sonicare do produce electric toothbrushes for children too. There are 2 different brush heads that work on their brush handles. These heads are very similar in what they aim to achieve, but have been designed with the smaller and more delicate mouths of children in mind. You will find lots of super soft bristles on the brush head, which not only gently remove plaque and food debris, but allow children to take advantage of the power of an electric toothbrush without discomfort that might come from firmer bristles that could damage the soft tissues within their mouth. The whole head is even coated in a soft rubber so that as it passes across the cheeks and gums, its is not as abrasive as a harder plastic. With a contoured profile to fit your child’s teeth, the standard sized heads are most suited to children aged 7+ whilst the smaller compact option are best suited to kids aged 3/4+. Simple to replace, click on and off just like adult heads. As things go in life, using a toothbrush head for 4 months is not the worst thing you could do, but if you can change the brush head every 3 months it would be best and will keep your dentist happy. Even if you are using the right technique, our mouths and teeth with regular brushing will cause bristles to wear. Even the best brush heads are not designed to be as effective after roughly 3 months use, thus, you should replace them. What might appear to be a perfectly acceptable and usable brush head can be doing more damage than you may think if you continue to use if for longer than you should. Uneven wear, frayed bristles and bacteria are all reasons to change that brush head. You don’t want it to be cutting or scratching the gums and teeth. For those using a BrushSync compatible handle and brush head, the Amber BrushSync LED will illuminate to alert you when a replacement head is required or of course the fading indicator bristles will give you the visual clue you need. Particular bristles on the head will start out Blue and will over a 3 month period fade to become a pale Blue/Translucent White color. These are the reminder or indicator bristles give you a guide to the usable life left. The lighter the bristles, the older and more worn the brush head is. At first glance it may not be obvious, but brush heads lose stiffness and gradually wear down over months of normal use. Take a look at the bristles, are they still fairly uniform in their direction and look. Does the bristle layout look similar to when the brush head was new? If bristles are shorter, frayed or all over the place then it is time to change. Brushing with too much pressure is often a cause of wearing out brush heads quicker than normal. 1. Pull the brush head away from the brush handle with a small amount of force to release the connection. There will likely be a click and you will revel a metal prong that is the shaft that connects to the motor. The head is now detached. 2. Fit a brush head by pushing the metal tip of the brush motor at the top of the brush handle into the hole in the bottom of the brush head. As the two are pushed together there will be a click, the head is now attached. hi, i notice the w diamondclean and the w3 is quite similar? what are the differences and which one do you recommend ? Yes they are very similar. I see little benefit in going for what tend to be the more expensive W3 option. There is a soft gel/silicon coating to the back and sides of the head which can be a touch softer on the cheeks and gums etc if they touch, but from a cleaning ability there is no real difference. All the claims of potential x times better plaque removal etc are virtually impossible to replicate and tell as every individual and situation is different. Most claims are based when comparing to a manual brush etc. Beware of the C3 plaque removing heads if you use natural toothpaste. The oils in many brands of natural toothpaste make the bristles fall out while brushing. I contacted Sonicare about it and they said that Coconut oil, peppermint oil and clove oil damage the heads. There is no warning to this effect on the packaging. This is interesting information, it is the first time I have heard such, thanks for making us aware. What is it about the oils that make the bristles fall out, do you know? We have a kids one, but was wondering if I can use an adult replacement head now. It doesn’t say any where if the adult ones will work as they get older. It still works great, so I hate to replace it just because she’s older. The adult heads are so much easier to find. You can use an adults brush head on a kids brush handle. It may not look great, the white brush head on the bold coloured handle, but if you are not worried (I wouldn’t be too concerned) then it is fine. You are not the first to voice this problem. Some put a marker on the brush head using things like colored nail polish or some sort of marker pen. A piece of colored tape could work too. Whilst the manufacturer own brush heads are generally best, there are some third party brush heads compatible with Sonicare brush handles that offer the colored rings. These brush heads do not support BrushSync technology though if your brush handle has this built in. I have a question: are Sonicare heads interchangeable among different brands? Is it safe to use a Sonicare head from a different manufacturer? For example, I recently bought OVONNI BH-126 and was not able to find replacement heads, I was advised to use replacement heads from ISELECTOR. I have not heard of this brush brand and model that you mention. If the companies advice is to use heads from ISELECTOR then I would suggest you can follow this. As a general rule, most brands alter their fittings in some way so that you can use only their brush heads or those specifically designed for their brushes. For example you can’t use and Oral-B brush head on a Phipips Sonicare or the vice versa. There are other companies who specifically make compatible brush heads for many different brands of toothbrush. 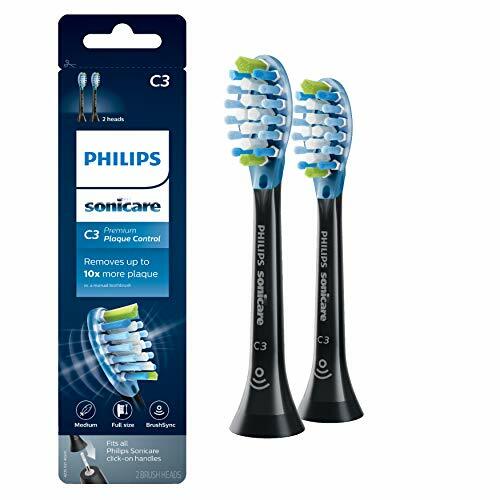 This means these head fit and work with ranges such as Sonicare brush handles, but are not identical to the Philips Sonicare original brush heads. 99.9% of the time these are perfectly fine, fitting perfectly and cleaning the teeth without issue. Strictly speaking the use of third party brush heads like this goes against the manufacturers recommendation and you cannot necessarily be assured of the quality in the same way. I have a brush that uses the HX 5600/c head. I cannot find replacement heads anywhere for this model. Any suggestions ? I am not familiar with a brush head by that model number, sounds more like the model of the brush. Does you brush look like the one shown in this review? Are all the sonicare heads soft bristled? I noticed recently on some of the replacement head packaging a picture of a feather with Medium written below it. I can’t comment on the exact softness rating for each brush head, but all between soft-medium stiffness/firmness. None of the brush heads bristles, are to my knowledge, firm or really stiff. Dentists generally recommend soft an/or medium bristles, so this is what Sonicare offer. What’s the difference between the C3 and W3 (other than their advertised purposes)? Their bristle layouts appear to be identical–is there a difference between the bristles themselves on the two heads? You are right. The bristle layout is the same. The colour of the bristles is different, but to our knowledge everything else appears to be identical. Yes, rather confusingly the Essence and Essence+ are different when it comes to brush heads. The Essence has a specific style of brush head that screws on and off, whilst the Essence+ uses the push on and pull off style brush head that is most common across the Sonicare range. The information here does not include what the icons on the brushes mean! Circle, square and diamond icons are on the individual brushes. What do they mean?!!! I have a Phillips Diamond Clean Sonicare. It is my belief that the icons, be that circle, square, diamond etc are ways in which you can tell which brush head is yours, if the same style of brush head is being used. There might be another reason, but not one I am aware of. Thanks for the article. I would have thought the diamond clean was the best as it has the word diamond in it. Silly me. I like to purchase my heads at Costco as you can get 6 for like $40 when they’re on sale. As they only have the diamond clean and the premium plaque control I’ll take the latter. Here is the link in case you would like to let others know. Another reason for me purchasing them at Costco is I am nearly certain that they are authentic which seems to be an issue when purchasing them online especially. Thanks again! The range of brush heads are confusing for sure. When it comes down to it, they are all going to help you maintain good oral health, but as this article explains, some might be a bit better than others for certain things. Costco should only sell the genuine brush heads. Whilst the majority of online sellers do to sell genuine parts, there are some who produce replicas/fakes rather than the real thing.